We had a great turn out on Tuesday for our weekly evening ride. We met at Tomato Pie Pizza Joint where ESMB was joined by friends Kat, Emma, Ivana, Lyvonne, Melanie, and Susanna. After enjoying some delish slices we had a great ride through Los Feliz, Elysian Park, Echo Park, and Downtown LA landing at One Eyed Gypsy (formerly Bordello). There we were joined by friends Heather, Jeremy, and Tandrew. Thank you all for joining us, and special kudos to Emma and Ivana who rode the furthest to join us (Long Beach and Rancho Cucamonga). 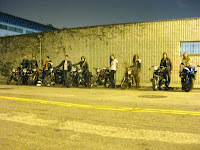 Then on Wednesday we met up with VVMC to celebrate Joe's Birthday and watch the VVMC debut on Cafe Racer. A super fun ride later we landed at Bigfoot West before heading back to the east side. 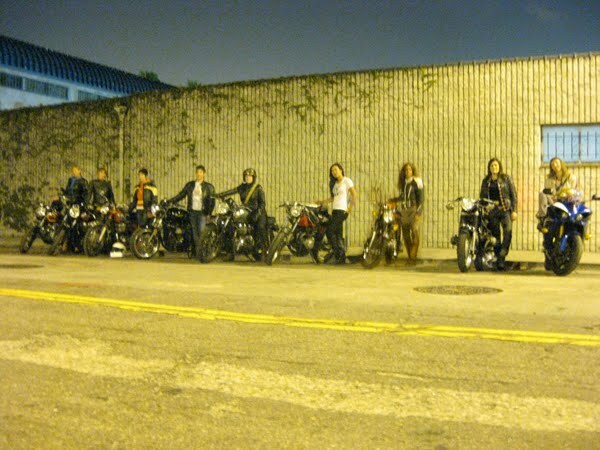 It was a great 2-wheel evening, happy birthday Joe and thank you VVMC for once again welcoming ESMB! If you like to join ESMB evening rides...we host weekly night rides on the 1st, 3rd, and 4th tuesday of each month. 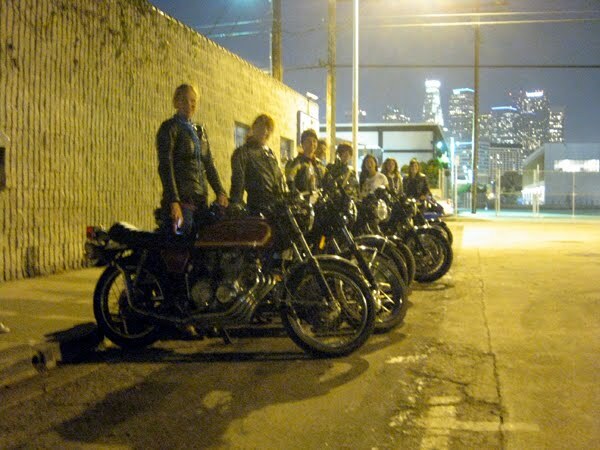 The 3rd tuesday ride is ladies only but all are welcome to hang before and after the ride. Gentlemen! join us for 1st, 4th and (occasional) 5th tuesday rides. Come hang out even if you dont ride! For weekly updates visit our facebook page.